The "Acta Pacis Westphalicae" is a librarian's nightmare. Classifying serials is difficult enough when they are just broken down by volume; this one is broken down into series, section, volume, and, sometimes, part. There are two series editors; each volume has its own editor, plus, frequently, an assistant. In the case of the item under review here, the editor also credits the work of his predecessor in preparing the material. The labyrinthine organization of the series makes each volume stretch the resources of even the most fully articulated bibliographic system, and is sure to exasperate those without an advanced degree in library science. But, though the "Acta Pacis Westphalicae" may be a librarian's nightmare, it is an historian's dream. For nearly half a century now, the "Vereinigung zur Erforschung der Neueren Geschichte" (VENG) has patiently collected documents relating to the Congress of Westphalia, and has consistently turned out high-quality, annotated editions of them. 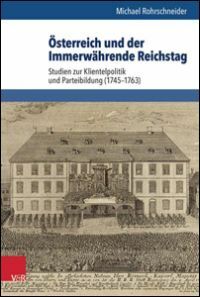 This is extraordinary continuity given the fickleness of funding and historical fashion; it can be attributed to the high quality of leadership at the "Vereinigung", beginning with its chairman, Konrad Repgen, continuing down to the current administrator, Antje Oschmann, and on to the long series of talented scholars who have assiduously collected, edited, and annotated the thousands of documents (chiefly correspondence) that have been published. 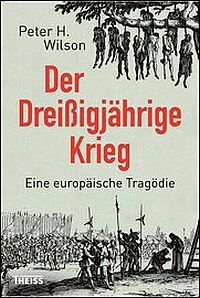 The series, which now covers several shelves of every good academic library, is the core source for any historian of the Peace of Westphalia. The volume under review maintains the high standards set by its predecessors. 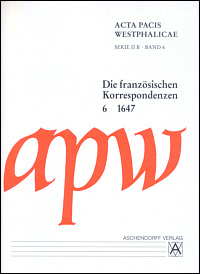 The editor, Michael Rohrschneider, has written a comprehensive introduction that discusses the military situation at a high level; France's relations with its allies and would-be allies (the Dutch Republic, Sweden, and Bavaria); relations within the French embassy; and negotiations with Spain and with the Emperor. Each of the 261 printed letters begins with an indication of the source document, including duplicates and previously printed versions. A summary of the letter's contents precedes the text. This summary, which was much shorter in the earlier days of the "Acta Pacis Westphalicae," is now generally an exhaustive list of topics covered. This, and the fact that each letter also indicates to which it is responding, and which letters, in turn, respond to it, makes using this collection simple, even if one is not undertaking a comprehensive study of the negotiations and wishes to retrieve information only on certain subjects. At this point in the series, it almost goes without saying that the letters are extensively annotated and cross-referenced. Hardly a name is mentioned for which the editor fails to provide some biographical information; or, should that not be available, some indication of the person's role in the negotiations. What seems to me relatively new in this volume is the close attention to other versions of the document, particularly drafts; textual differences are carefully noted at the bottom of each page. Every fifth line of text is numbered, making it easy to refer to a specific part of the text. The bibliography, extensive as always, stretches for over 35 pages. 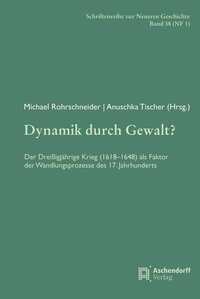 Although this volume is labelled "1647," it actually covers only a period of less than six months in that year, 25 June - 18 November. 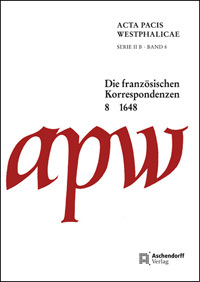 (One might also be surprised to notice that, based on the plan revealed on the VENG's web site, this volume - 6 - only brings one about halfway to the projected 11 volumes in the complete series of French correspondence.) The end points chosen are marked by the handing over of a complete French draft treaty with the Emperor, and by the renewal of the agreement on French satisfaction in Alsace and Lorraine in November. Though the period be short, however, it is extremely important - arguably the most important in the whole negotiations. This is a period that saw two mutinies in the Empire, the Bavarian renunciation of the Truce of Ulm, and Imperial ambassador Trauttmansdorff's departure from the congress. It is also the period of the beginning of the revolt in Naples, which did so much to encourage French minister Jules Mazarin to hold out for his utmost demands toward Spain. And it is the time during which Mazarin's collaborator Abel Servien concluded a "guarantee treaty" with the Dutch Republic, intended to ensure their continued participation in the war against Spain. Servien's correspondence with the court is covered fully, even when he is in The Hague. 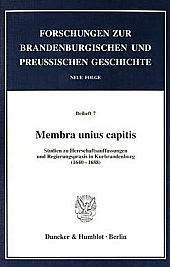 This departs from the basic focus of the series, which otherwise is limited fairly strictly to Münster and Osnabrück. However, it is a welcome expansion because of the central role of the Dutch Republic in this period. Servien openly voices his frustrations with his mission, complaining that most people were already against him before he arrived, "whether by corruption, or by ignorance, or by ingratitude, which is the usual vice of this nation" (196). He appears to be honestly content with the treaty he negotiated, pointing with particular pride to the fact that the guarantee was extended to Catalonia and Lorraine, which no one had expected. He felt that, if the Dutch lived up to their promises to support France's retention of all its conquests from Spain, everything would be fine; but he feared that the Dutch plenipotentiaries, "the majority of whom are in the devotion of our enemies" (197), would undermine the effectiveness of the resolutions taken in the Hague. In spite of Servien's excessively cynical view of Dutch attitudes, he seems to have grasped the key point that winning agreements with the States General was of no value unless the Dutch ambassadors intended to support them. The decentralized structure of the government of the United Provinces left their ambassadors with even more latitude than those of other states, so their views - which Servien correctly gauged as mainly pro-peace - had proportionally more weight. This, more than any other factor, led to the separate peace with Spain that France fought so hard to prevent. Meanwhile, the negotiations in Münster languished so much during the summer that the letter from the plenipotentiaries of 19 August consists of only a single paragraph, noting that "nothing is happening here presently that would give us subject to speak on" (307). 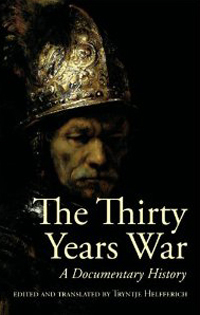 The negotiations with Spain picked up a bit in the autumn, but the big news that brings this volume to a close - the renewal of the draft treaty with the Emperor - remains of decidedly lesser importance. After all, it was only a return to an agreement already fixed the previous year. France's primary attention remained focussed on the Spanish negotiations, and whether they would be concluded before the United Provinces signed a conclusive treaty withdrawing from the war. While I applaud Repgen's decision to keep producing printed versions of the Acta Pacis Westphalicae, one might wish that he would consent to an electronic version as well. The documents are already stored on computer, and the possibilities for searching and performing extensive textual analysis by electronic means are tempting. But, whether digitized or in hard copy, this volume continues the tradition of excellence begun a half-century ago.